Hello Wottareaders! today I’m bringing you something different. Books are excellent source material for making movies, it is way easier to have a script since the story is already written and most of the dialogues will be similar to the original writing. Also, producers can gather valuable data from the book sales, allowing them to predict how much will their movie adaption gross. This is why lots of best sellers have a movie adaptation, such is the case of Harry Potter, The Lord of the Rings (check here to know why you should read the books) or The Hunger Games for example. And let’s not forget Stephen King, whose most of his books have a movie adaptation, as is the case of Pet Sematary which is going to be released in two months. Producers are playing safe here, they know these novels or authors have a huge fanbase so the risk gets diminished. However, there are those movies based on not so known books. This is so that sometimes we don’t even know these movies are actually based on a novel! 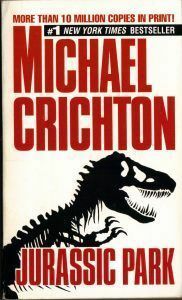 The novel Jurassic Park was written by Michael Crichton and published in 1990. The novel, like the movie, tells the story of a theme park with genetically engineered dinosaurs (what could go wrong? right?. Three years after the publication Steven Spielberg directed this project and the movie was awarded three Oscars by the Academy Awards. This American writer was also a film director and producer, which led him in 1993 to achieve the unique distinction of having a Nº 1 top-selling book, Disclosure; the most-watched TV show, ER; and a Nº1 movie, Jurassic Park. Crichton also co-wrote the script for Jurassic Park while its sequel, The Lost World, was written by David Koepp. 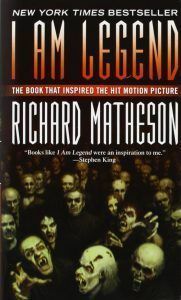 I am Legend was published in 1954 and written by Richard Matheson. 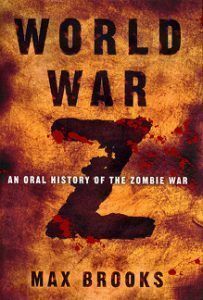 This novel influenced the development of the zombie-vampire genre and has many adaptations such as The Last Man on Earth, The Omega Man and, of course, I am Legend. I must say that I Am Legend movie adaptation does not resemble at all to the original source, having a lot of inventive adaptation (such as it happens with Ready Player One). Despite sharing the same basic premise, the adaptation differs greatly from the original novel. I use to joke that the only similar thing is the main character, Robert Neville (acted by Will Smith). 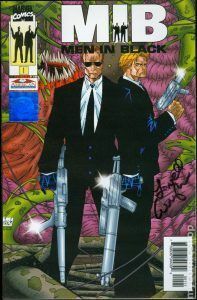 The Men In Black is actually not a novel, but an American comic book series. It was written by Lowell Cunningham and illustrated by Sandy Carruthers. The original series consisted of three issues, then, after different editorial acquisitions, new issues were published including a prequel. The movie, starring Will Smith as Jay and Tommy Lee Jones as K, turned out to be a success. This resulted in two sequels and an upcoming spin-off which will be released in June 2019 and will be starred by Chris Hemsworth and Tessa Thompson. This success also lead to other spin-offs like an animated tv show, video games and even an amusement park ride in Universal Studios Florida! (See here). This novel was written by Max Brooks and got published in 2006. World War Z movie, released in 2013 and directed by Marc Foster, tells the story of Gerry Lane (starred by Bradd Pitt), an investigator who travels the world in order to stop the zombie pandemic. Meanwhile, the original material is an apocalyptic horror novel in which the story is told through individual accounts providing so different perspectives for the zombie plague spread all around the world. As Max Brooks himself stated, “the film had nothing in common with the novel other than the title”. Written by Chuck Palahniuk and published in 1996. The writer had a fight while camping, returning to work bruised and swollen, his coworkers avoided to ask him what happened and that is how Palahniuk got inspired to write this novel. The movie adaptation was released three years later, directed by David Fincher and starring Brad Pitt and Edward Norton. For those who loved this story, it has a sequel, Fight Club 2, which is released in comic book form. 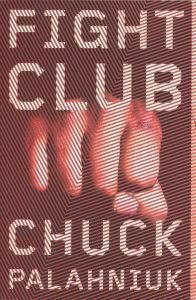 Funnily, after publishing the novel, Chuck Palahniuk received lots of phone calls by journalists asking him where could they find one of those fight clubs he was inspired about. Of course, Chuck Palahniuk kept telling them he had made up all of it but journalists didn’t believe him. Ironically, fight clubs exist now, inspired by the novel’s philosophy. Also, the Fight Club rules are widely used and adapted all along the Internet. This is a science fiction novel published in 1950 and written by Isaac Asimov. 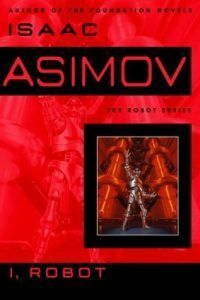 This book is a collection of short stories posing dilemmas related to the three laws of robotics which, by the way, he created. Meanwhile, the movie starring Will Smith (third time he appears in this list) was released in 2004. However, the movie, despite using some of the characters of the book as Dr. Susan Calvin, depicts a story of hordes of killing robots whose leader, a machine, wants to control humanity. While controlling humanity is one of the short stories premises, it can’t be said that the movie is linked to the original source. Three laws of robotics have influenced widely popular culture and had been referenced on several occasions. Some examples are Star Trek and Futurama tv shows or the movie Doctor Who. In case you like I, Robot there are three prequels written by Mickey Zucker. Hope this list surprised you, how many of these you movies you didn’t know were based on novels? Share in comments! Will George R.R Martin finish Game of Thrones? Magic Swords challenge: Will you be able to answer all these questions?